BERLIN — Germany and France on Tuesday launched a drive to overhaul the European Union's competition rules to facilitate the creation of world-leading companies. They pushed forward a project to create a car battery consortium aimed at catching up with Asian rivals. A German-French "manifesto for a European industrial policy fit for the 21st century" agreed on by the countries' economy ministers reflects worries that the continent risks falling far behind in the development of new technologies such as artificial intelligence and electric mobility. 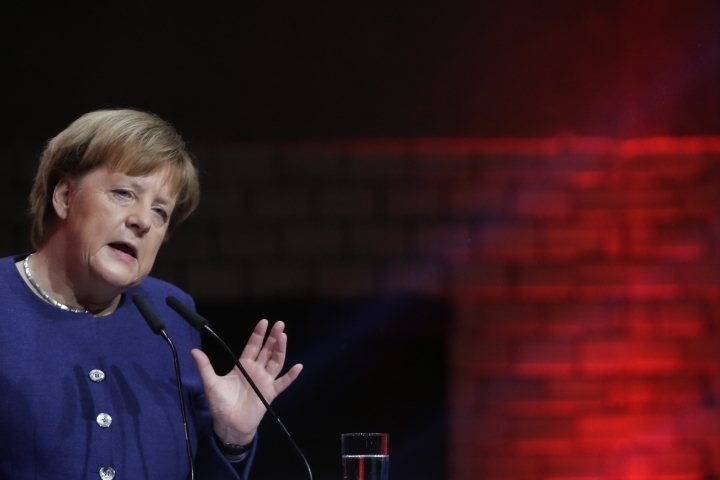 Speaking at a separate event earlier Tuesday, German Chancellor Angela Merkel said that the EU's stance on competition "leaves me in doubt about whether we can really produce global players this way." The German-French manifesto states that "the choice is simple when it comes to industrial policy: unite our forces or allow our industrial base and capacity to gradually disappear." It advocates a European strategy for technology funding and calls for becoming "world leaders" on artificial intelligence. 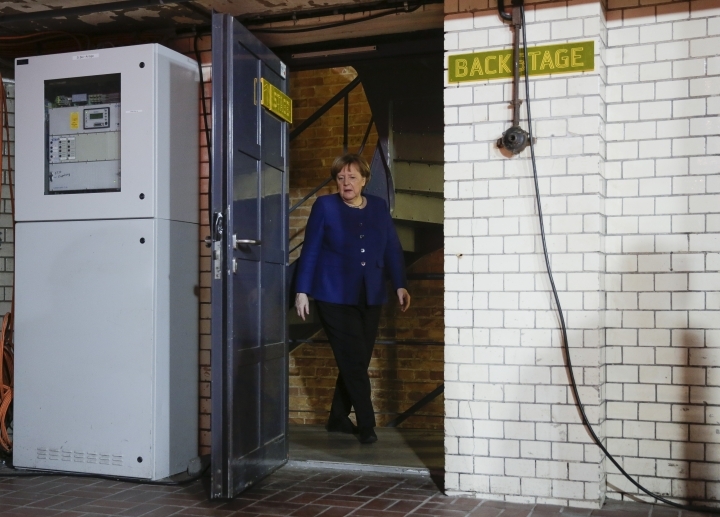 After the EU blocked the merger of the rail businesses of Germany's Siemens and France's Alstom, Germany and France are suggesting that EU guidelines be updated to take greater account of global competition. They also advocate discussing whether the European Council — which brings together EU members' governments — should be given a right to appeal against and override decisions on mergers by the EU's executive Commission. 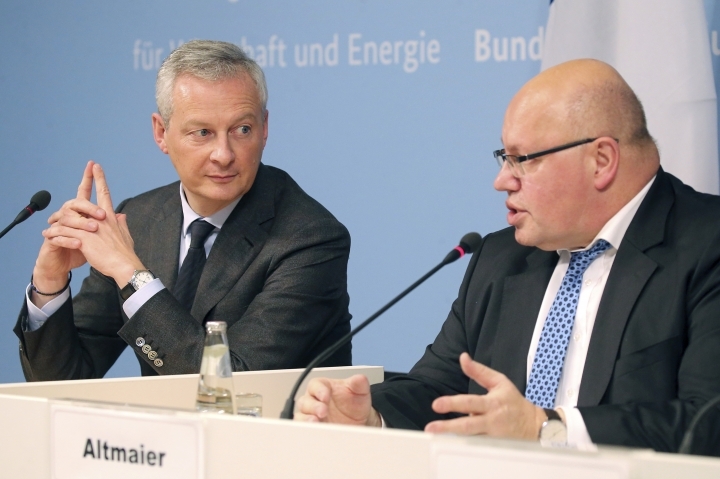 German Economy Minister Peter Altmaier and French counterpart Bruno Le Maire said it would be led by their two countries but open to other EU countries that want to join. They said it would benefit both Germany and France, but it's too early to say where factories might be built. Altmaier said there are no plans at present for either state to take a direct stake, and both ministers said companies are interested — but wouldn't name them, citing ongoing talks. "China and South Korea have taken a big lead on electric batteries," Le Maire said. "The question that arises is whether we want to be sovereign or not." He added that, if Europe abandons two "critical technologies" — batteries and self-driving cars — "you abandon your auto industry, because you depend on your foreign supplies who can increase prices or deprive you of this technology." "Germany and France created the automobile," Le Maire said.